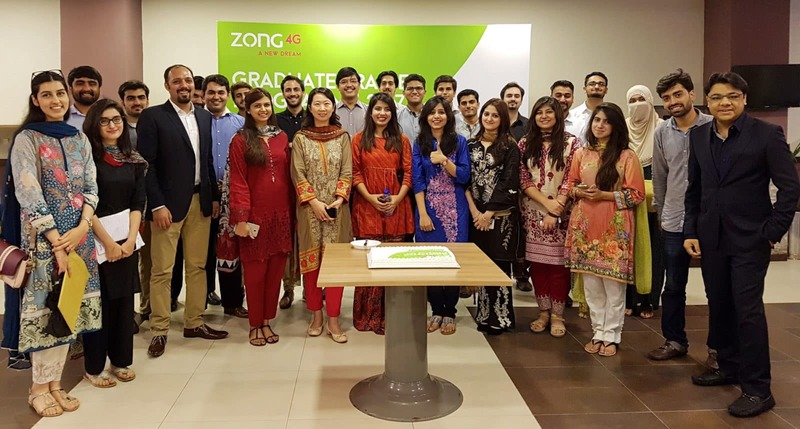 Zong 4G has inducted 35 new graduates in its specially designed Graduate Trainee programme for young professionals. The programme, which is one of a kind in the industry is designed to provide a strong learning platform for fresh out of the university students from diverse fields such as Engineering, Business, Marketing, Finance and Information Technology. Zong 4G’s “Graduate Trainee Officer” (or GTO) program selects outstanding candidates from top universities after a well-structured hiring process where thousands of applicants undergo thorough evaluations, aptitude tests, assessment center and interviews. The process has been designed to ensure that the most capable individuals are added to Zong 4G’s talent pipeline. These individuals have been placed in Zong 4G’s Headquarters in Islamabad and also in its regional offices in Peshawar, Multan, Faisalabad, Karachi and Gujranwala. For the last 5 years, Zong 4G has been a key player in providing professional opportunities to young graduates through their specialized Graduate Trainee Programme. The overall program spans around 1 to 1.5 years, designed to provide maximum exposure, development and learning opportunities to jump start the careers of these future leaders. The program aims to equip young graduates with telecommunications knowledge and essential management skills, to effectively train the “leaders of tomorrow”. Zong 4G is Pakistan’s largest 4G Network, with coverage in over 300 cities of Pakistan. Over the last few years, Zong 4G has invested over USD 2.5 Billion in the Pakistani Telecommunications Industry, exponentially expanding career and entrepreneurial opportunities for the youth of Pakistan. Zong 4G has consistently expressed its desire to reshape the digital landscape of Pakistan through leveraging its technological edge in 4G LTE. As part of Zong 4G’s engaged workforce, the newly hired Young Graduates will be instrumental in bringing about a ‘digital revolution’ in Pakistan, in line with Zong 4G’s brand promise of ‘NEW DREAM’.